In this article, I explore my personal opinion about wearing Rose Tinted Glasses and the problems it can lead you to while (re) exploring retro games. And because I do not want to be Mr. Negative, I'll end the article discussing some of the good parts about nostalgia and retro games. What do you mean, the game is rubbish!? Above: Cops and Robbers is one of my favourite older Commodore 64 games. Too bad no one else likes it! We all know the feeling. Years ago we played this absolutely awesome game, or had the absolutely best system ever! Playing the game or system now, on real hardware or by using an emulator still feels really great. Sure, the graphics are not how you remember, the wonderful speech samples are barely intelligible and that loading time is pretty bad, but it still just feels right. It's a wonderful feeling to be sure, until you start reading up on the game or system online. It doesn't matter which system you adored or which game you so loved, there will always be people arguing that it's not that good (or even plain bad!). For some of your favourites it might even be that the majority of people turned out to not like it, or not share your idea that the game or system is worthwhile. And the problem is, looking back now, these people will often be correct. There, I've said it. Your favourite system? There were better ones. Yours might even have been pretty poor when looking at it objectively. That great game? Almost certainly a much better game exists. That's the first problem with Rose Tinted Spectacles, your feelings might be strong and your opinion might have (some) merit, but when looking at all the retro systems and games that exist by now it's fairly likely that some game or system was better. This is made worse by people comparing systems that were released years (sometimes even a decade or more!) apart and insisting that such a comparison is fair. To give a personal example: I absolutely loved Dune II on my Commodore Amiga 500. 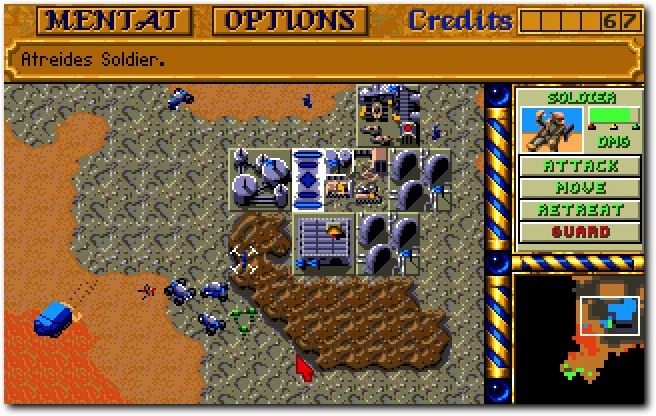 However, as I later learned the PC version of Dune II was just, well, better in just about every way when run on a mere 386 based PC. So someone might compare the two and conclude the Amiga version is terrible and the PC is clearly the better system. However, such a comparison is clearly flawed. The PC version required fairly expensive PC hardware from circa 1991 to run well, the Amiga 500 was released in 1987 - several years earlier, not too mention it was quite a bit cheaper than the PC to begin with. In other words, the comparison is not really a fair one. It compares a newer, much more expensive machine with an older, cheaper one and does not take into account the timeline. These kind of comparisons happens a lot, and sometimes are even more lopsided. It might not feel fair, but it’s probably best to just ignore such comparisons altogether. My system will beat your system any day of the week! The second problem with Rose Tinted Glasses is failing to understand that your personal feelings about a game or, more often, system are clouding your judgement and are just not objective. We've all seen this happen too: either no one on the forums seems to understand why your favourite system is just plainly the best at everything. Or, more likely, you read yet another thread by that guy who insists his system is somehow objectively better than anything else released before or since. Good examples are comparing an Amiga 500 to a NEO GEO and saying the Amiga 500 will win with ease. Or claiming your slow, graphically limited 8 bit computer of choice actually used the 16 bit assets to create graphics for its games because it's really more 16 bit than 8. Regardless of any facts backing up the claims, naturally. It can also be smaller things, like arguing the Atari XE/XL sound chip (POKEY) is at least as good as the Commodore 64's SID - even though POKEY needs to drop to two channels to be able to play music in tune* and the SID has no such issues. Or arguing that your 16 colour system can actually display thousands of colours on screen, just like the competition. Subtly leaving out that to achieve this requires dithering the picture and interlacing the display in a headache inducing way. All the while using up so much CPU power that the computer can't realistically do anything else but display said picture**. The truth is that it is almost impossible to be objective when discussing your favourite games or systems and as such it’s likely that the people arguing against you are actually correct, so it’s best to keep in mind that your ideas might just not be other people’s ideas and leave it at that. The third problem Rose Tinted Glasses give you is the intense disappointment when you replay that one game. You know the one, the one that looked frikkin' awesome and had so many great technical tricks, but now turns out to not actually play at all well. In fact, it plays terrible, the collision detection is bad, the gameplay is extremely limited and it basically feels more like a tech demo than an actual game. Or perhaps you played one of the other kind of sure-to-disappoint now games: those games that pushed the machine beyond its limits. Leading to great technical achievements that feel clunky or just plain slow when replayed now. There are many such games and they are found on many (probably all) platforms. For the Amiga, the Shadow of the Beast series is by now infamous for being mostly eye candy and containing little gameplay and then there is Alien Breed 3D II, a game which pushed the AGA Amiga's beyond what they could do. There is a reasonable game hidden in there, but it doesn't run smoothly even when powered by a 68060. Let alone the on the poor 68030 which allegedly was recommended. For the C64 there was an early one in Elite. An absolutely wonderful experience when I first played it. But now the extremely low frame-rate (especially during combat) does make it very hard to play these days. Or how about the 3D construction kit, which sounded really cool. Until you realised the frame-rate for any scene that was even remotely complex was measured in seconds per frame. The SNES had Donkey Kong Country, a game that looked very good for the time but featured relatively bland gameplay. The Megadrive featured Altered Beast, which is not that bad but was much more about the cool graphics than the rather uninspired gameplay. 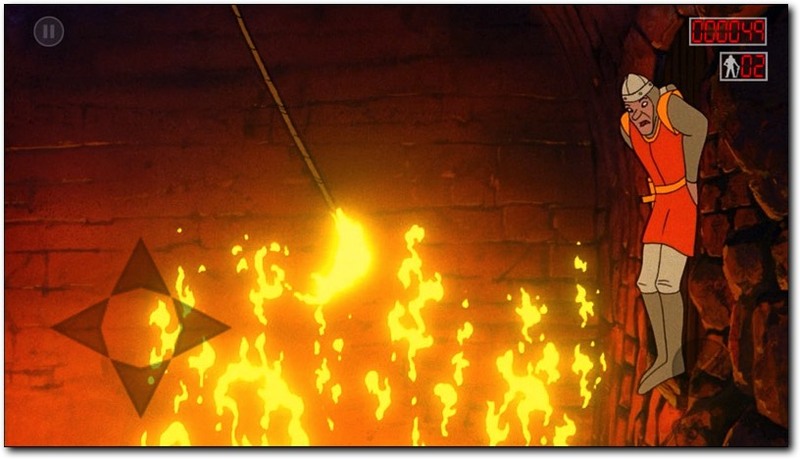 However, the Arcade game Dragons Lair is pretty much the single best example of style over substance. The gameplay is basically non-existent and the whole point seems to be to pay lots of coins to try and see the pretty cartoon graphics. The many, many, many ports this game received over the decades show that this approach can work very well: even though the game (and all the ports) was terrible, it still keeps selling. There are probably more problems with Rose Tinted Glasses, but let's end on a more positive note - by naming some of the more positive sides of retro game nostalgia. It’s not all bad, some of these games are true classics! 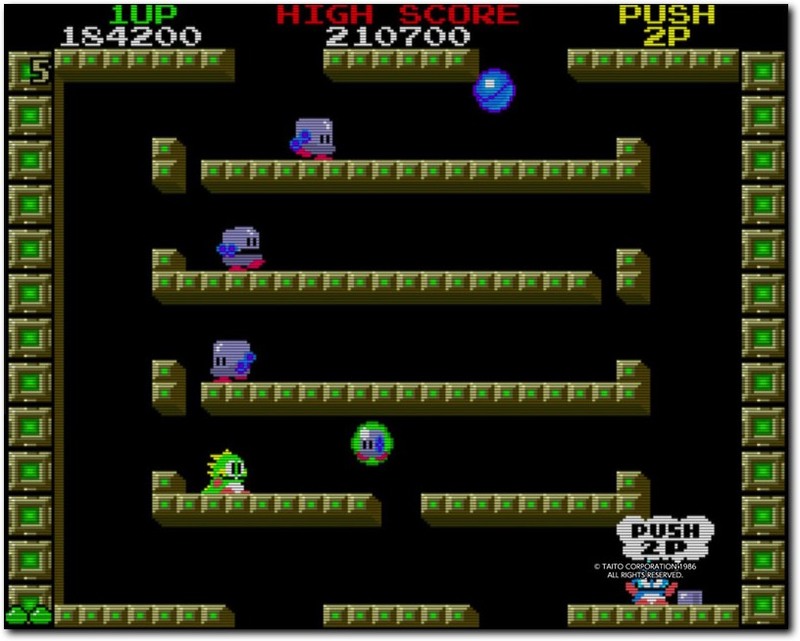 Above: it may be very old, but Bubble Bobble is an enduring classic that is still tons of fun to this day! The first being, sometimes.. Just sometimes... The Rose Tinted Glasses are actually correct. Sometimes you replay a game and it is still great and you can have just as much fun as you had before. Sometimes you show a game you love to people and they all get it. Some of the retro games you love are actual classics and those tend to age gracefully. Now, this doesn't happen a lot, but it does happen and is a wonderful thing. The second plus is that your Rose Tinted Glasses can also help you see (and hear) beyond the graphics and sound and find that you still really, really enjoy playing the game. Even though it looks awful by todays standards and scares the living daylights out of your pets, family and friends whenever it plays its 'music'. Others might say you could also play much newer and nicer looking games instead - but if you find joy in playing retro games, that should be irrelevant. A third plus is that older games were 'complete'*** out of the box. There are no season passes to order. No required internet connection. No randomised virtual items being sold to you for real world money. No poorly integrated story DLC. No mandatory updates which may radically alter the game (sometimes so much you might no longer like playing the game). No subscription fees. No in game ads. So caving to nostalgia and playing a retro game saves you from all that stuff, which can not only save you money (until you want that mint copy of Turrican III for the Amiga of off eBay! ), but definitely can save you many headaches. In many ways the old games are much more pure expressions of the medium, so if you can look behind the ugly graphics and sounds there can be some real gems for you to play and discover. As the fourth and final plus, playing and knowing about retro games can help you appreciate modern games more as well. Try this: play only games from 1994 or earlier for a month or two and then look at a game with just 'ok' graphics from today. Or play a game with modern quality of life features. Chances are you'll appreciate that lots more having seen how it used to be. Not because old games are bad, but because some off the things newer games do are actually nice. There are plenty of bad things in modern gaming (don't get me started on mobile 'free to play' games or 'optional' in game loot-boxes!). But there are also many nice things and they deserve being noted. *) The standard four channel 8 bit mode on POKEY only offers 256 different frequencies per channel, which is not enough to play music in tune at all times. Channels can be combined into 16 bit channels, which do not suffer this problem. **) Don't get me wrong, such techniques are quite advanced and show great programming ability. However, they have serious drawbacks and can't really be seen as proper alternatives to a computer that can just display such images without such tradeoffs. ***) As complete as they got anyway. I know lots of games didn't end at all or had bugs stopping you from completing them, but these things also still happen today. I also know some games had expansion packs, but an expansion pack or two is not comparable to dozens of pieces of DLC.